Starting the day full of energy is fundamental. 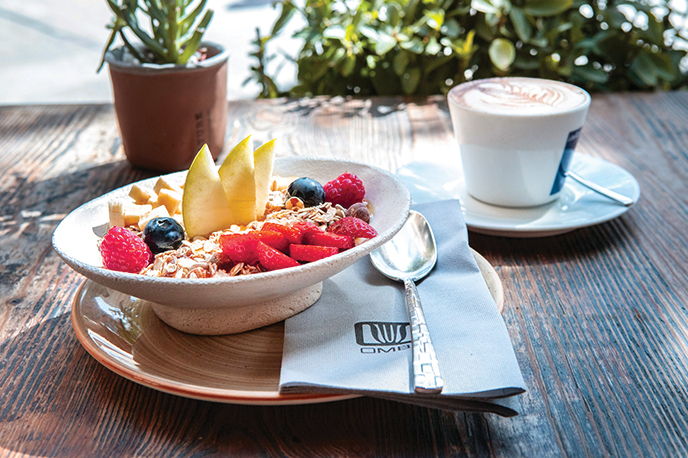 At OMBU, restaurant in Palma we are aware of this and that is why we implemented a gastronomic offering of healthy and tasty breakfasts so that you can enjoy the first hours of the day on our terrace with views of the Palma Cathedral. In this article we will tell you a bit about what we offer. Muesli is one of the most in demand food products amongst people who love healthy and delicious breakfasts. This dish has Swiss origins and is made up of grains, nuts and dried or dehydrated fruits which serve as a base to complement bowls filled with yoghurt, milk or other dairy products, as well as juices and sweet treats. It’s a very trendy dish amongst those who want a breakfast option filled with vitamins and proteins, that is nutritious, complete and will give you energy. At OMBU, restaurant in Palma, we combine muesli with yoghurt, fresh fruit and the unique sweetener, honey. Exclusivity also has its own place within breakfasts. One of the main stars of our breakfast selection is the Açaí berry, a fruit from an autochthonous palm tree which originates from the humid jungle of Brasil. Its wild nature and its peculiar climate make this fruit a delicacy to start the day full of energy. At OMBU we serve it mashed and covered in muesli, fruits, nuts or whatever complement you wish to have with it. One of our favourite ways to serve Açaí berries is with organic granola, banana and strawberries. Something that you can’t deny is how important fruit is in breakfast. And there are a million ways to prepare it. At OMBU, restaurant in Palma, we like to opt for smoothies, fruit shakes, sometimes mixed with dairy products, with a creamy and ice cold texture. A very interesting option for this time of year, a way in which you can combat the summer heat is with a delicious smoothie on our terrace. If you’re more traditional, don’t worry. We do still have the classics like freshly squeezed orange juice or some great coffee. We want to start the day in a healthy but also fun way. 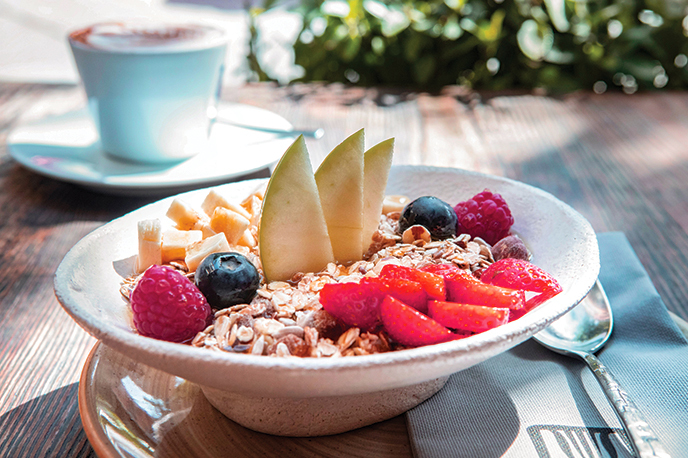 Our breakfast offerings have the exoticism of the Açaí berry, the fibre of muesli and the natural touch of fruit, what is without a doubt an authentic comforting experience is to enjoy it from our privileged location in the centre of Palma. Reserve your table at our restaurant in Palma and start the day on the right foot!